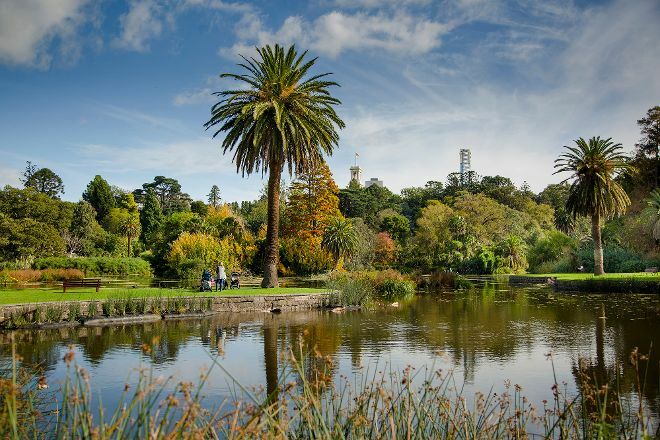 Over 10,000 species of native and exotic plants and animals inhabit a lush and immaculately kept landscape at Royal Botanic Gardens. 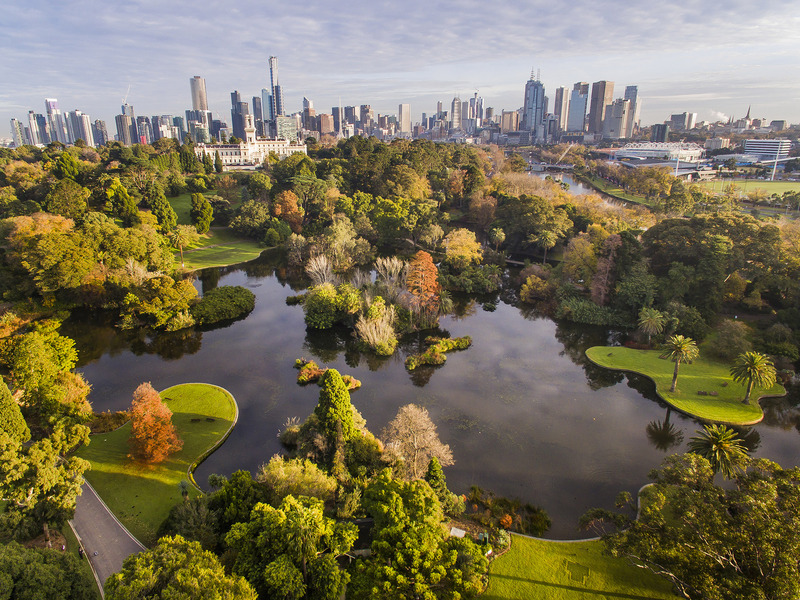 Originally established in 1846 by Lieutenant Governor Charles La Trobe, the gardens today provide 38 hectares (94 acres) of colorful natural displays for you to wander among. The manmade Guilfoyle's Volcano serves as a reservoir and offers you a stunning view of the Melbourne skyline. The Ian Potter Foundation Children's Garden provides an engaging introduction to botany for kids, and the lake system hosts diverse aquatic species. If you visit during summer, special events happen on the grounds almost daily. 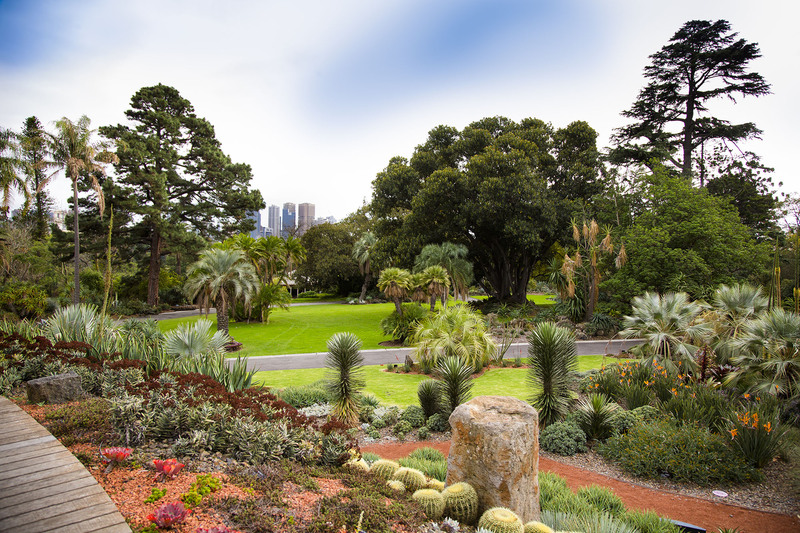 To visit Royal Botanic Gardens and other attractions in Melbourne, use our Melbourne tour app . An oasis of calm, not far from the CBD. Good to reach by tram. The garden is very spacious and superbly maintained. A good Café on the Lake with Lotus flowers. There are there scones with clotted cream and jam. This is part of a visit to the garden. In the summer, there is also an open air cinema in the Park. For plant lovers, a visit is strongly recommended.